As the technology world casts its eyes to The Venetian hotel in Las Vegas, host of this week’s EMC World 2016, they do so amidst a changing channel climate. Forget product launches and solutions, for the Kiwi partners descending on Sin City this week, only one word matters; Dell. 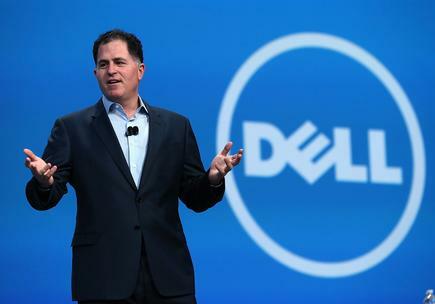 In keynoting in front of potentially 13,000 new partners and customers, Dell CEO Michael Dell is widely expected to educate the industry on the tech giant’s impending $US67 billion acquisition, an acquisition that will shape the future direction of the channel both locally and globally. As reported by Reseller News, the merger has faced financial hurdles along the way, leading to streams of speculation and rumours around how two titans of tech can join forces without disruption. While Michael Dell isn’t expected to reveal all about the future direction of the combined company, Dell Chief Integration Officer Rory Read, alongside EMC Chief Operating Officer Howard Elias will provide an update on the business integration strategy. “I’m confident we will understand the new structure of the new company, including who will be in charge and what the high-level strategy is for the coming 12-24 months,” says Adam Zame, Sales Specialist of EMC, Dimension Data New Zealand. Speaking exclusively to Reseller News, Zame - who will be on the ground in Las Vegas - believes that while updates will come for the channel, in-depth product line-ups and roadmaps will likely be in short supply. “What we won’t get is any real news around final product portfolios, support and channel impacts, business partner program information,” he speculates. For Mike Smith, General Manager of Cloud and Sourcing, Spark, partners hope to see a clearer picture of how a traditional hardware vendor can deliver relevance to businesses worldwide. “The expectation would be that both EMC and Dell share their channel strategy for the short to midterm future,” he adds. “I hope to see evidence of a long term commitment to the channel as well as insight into EMC’s significance to us as a partner and how they can enable us to deliver value for our customers in the future." From a technological standpoint, Zame hopes the event will showcase how EMC is driving new technologies and solutions, with a focus on the value of the Federation of companies and where Dell fits from a portfolio perspective. “Converged Infrastructure and HyperConverged platforms are a huge trend setter at the moment and it will be interesting to see where EMC and Dell come together on this given the VCE situation with Cisco too,” he adds. As teased by Hewlett Packard Enterprise CEO Meg Whitman earlier in the year, the multi-billion dollar merger has allowed rival vendors to capitalise on the complexity and confusion of the deal. “In the last quarter, we had about 107 deals that we actually took from Dell and EMC, whether they were partner deals or customers,” Whitman told CNBC. But despite vendors naturally attempting to stick the boot into the deal, Zame believes that in reality, such industry speculation has been exaggerated. “As with all major mergers or business splits of this size, the actual impact has been fairly minimal,” he adds. As echoed by Smith, the impact has yet to trickle down into the New Zealand market, with Kiwi partners unsure as to how the deal will play out at a local level. Locally speaking, Zame says EMC has been in “constant contact” with the local channel as the deal begins to take shape, and is widely expected to close by the end of 2016. “We’ve been updated on the proposed plans to create the new enterprise division with EMC’s full product portfolio and Dell’s datacentre specific offerings around servers, networking and storage,” he adds. “Initial statements seem to point to this division being headed by EMC’s Information Infrastructure CEO, David Goulden. 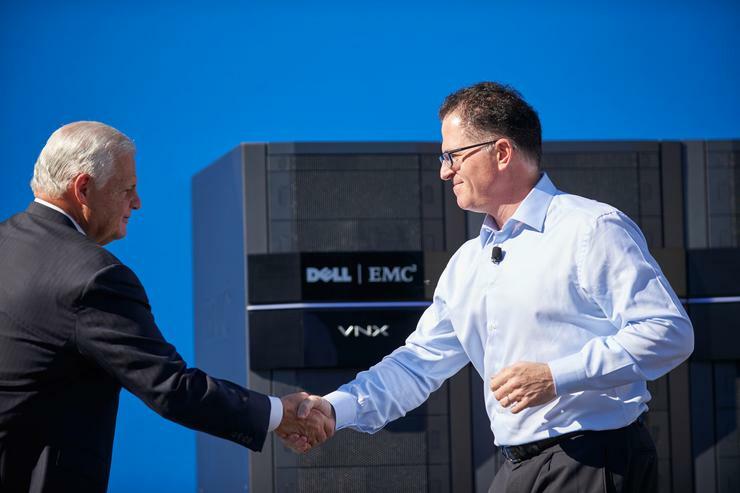 “I suspect that Michael Dell will not be forcing any major shifts in the current strategy EMC has been quite successfully executing in recent years. James Henderson will be on the ground in Las Vegas as a guest of EMC.